Prayers for all men today, to see the importance of St. Joseph in your lives. 1. “Joseph did as the angel of the Lord commanded him and took his wife” (cf. Mt 1 :24). 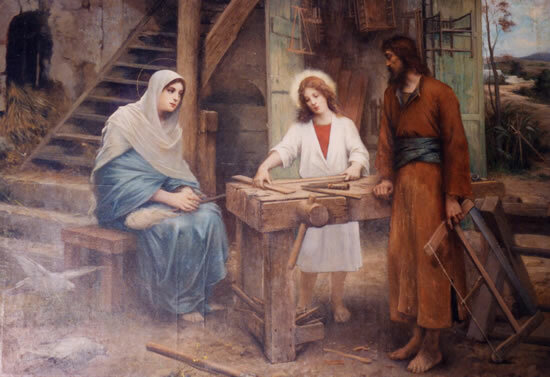 Inspired by the Gospel, the Fathers of the Church from the earliest centuries stressed that just as St. Joseph took loving care of Mary and gladly dedicated himself to Jesus Christ’s upbringing,(1) he likewise watches over and protects Christ’s Mystical Body, that is, the Church, of which the Virgin Mary is the exemplar and model. On the occasion of the centenary of Pope Leo XIII’s Encyclical Epistle Quamquam Pluries,(2) and in line with the veneration given to St. Joseph over the centuries, I wish to offer for your consideration, dear brothers, and sisters, some reflections concerning him “into whose custody God entrusted his most precious treasures.”(3) I gladly fulfill this pastoral duty so that all may grow in devotion to the Patron of the Universal Church and in love for the Savior whom he served in such an exemplary manner.